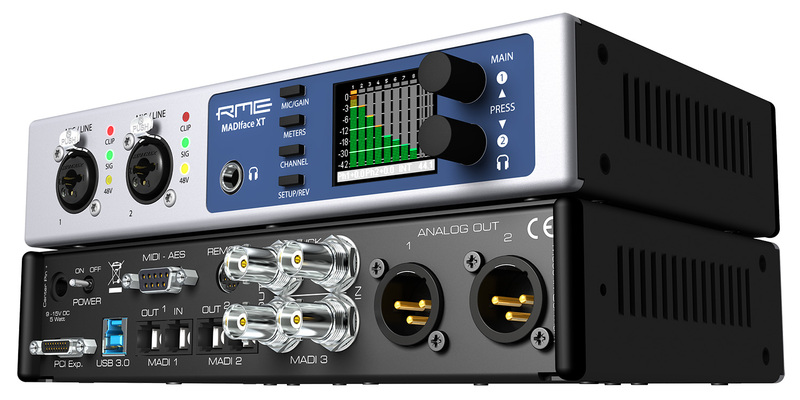 RME have announced the launch of their new M-32 Pro AVB series of high-end 32-channel 192 kHz AD and DA converters. The original M-32 AD and DA launched in 2010 and quickly became an industry standard converter for many professional engineers and producers. Taking advantage of the many format, feature and converter advancements in recent years, the new M-32 Pro looks to answer the growing demands within the recording, broadcast, immersive sound, live and installation markets. 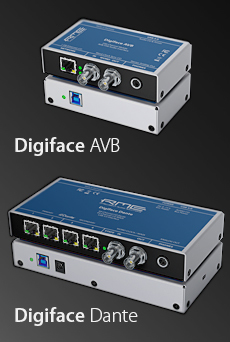 At this year’s Musikmesse RME presented its new Digiface AVB. The brand new Digiface Dante was also presented. 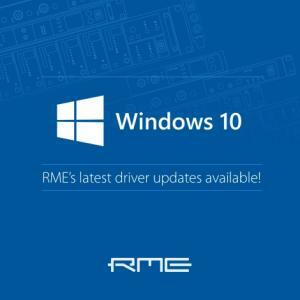 Last year RME celebrated their 20th year anniversary, with the German manufacturer announcing no less than four new products at Musikmesse 2016. One of those new devices was the RME ADI-2 Pro, a feature-packed update to the RME ADI-2, featuring incredibly precise audio quality, powerful headphone amplifiers, plus a host of innovative features that will appeal to both mastering engineers and high-end audio aficionados alike. With the ADI-2 Pro proving popular in both pro audio and Hifi circles, RME have chosen Musikmesse to unveil their new RME ADI-2 Pro Anniversary Edition. Strictly limited to 500 units worldwide, the RME ADI-2 Pro AE features the same sound and functionality as its namesake, but comes decked out in an all-black housing, matching the style of audiophile-level HiFi setups. 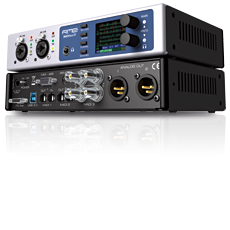 Musikmesse 2016: RME have announced the launch of no less than 4 new products at this years Musikmesse in Frankfurt as part of the German manufacturers 20th anniversary celebrations. The MADIface Pro can be used in stand-alone mode when not connected to your Mac or PC. The control surface features dedicated tactile buttons and four level meter bars, along with independent storage of all current settings. A MADI monitor feature has been included which offers a number of functions including the ability to listen to any incoming MADI channel pair. The ADI-2 Pro combines a high-class USB DAC with a multi-format converter (AES, SPDIF and ADAT) and a superb headphone amp that features two separately controlled outputs. 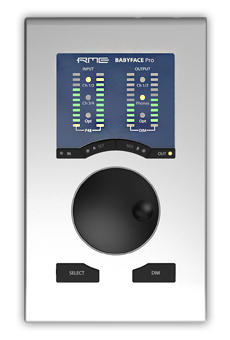 It supports sample frequencies of up to 768 kHz, a parametric 5-band EQ as well as low cut for all analogue I/Os allowing effective response correction for headphones and speakers. Thanks to the excellent SNR (Signal-to-Noise Ratio) and reference-class THD (Total Harmonic Distortion), the ADI-2 Pro is perfect for both mastering and measuring systems. It is also suited for mobile use in combination with an Apple iPad. You don’t even need a power outlet: An optional power bank offers up to five hours of mobile operation. The high-resolution IPS display also ensures perfect overview over all parameters. The Advanced DURec feature allows you to record up to 76 simultaneous channels via the analogue and MADI I/O, directly down to a compatible flash drive. Perfect for critical recording situations, both live and in the studio. 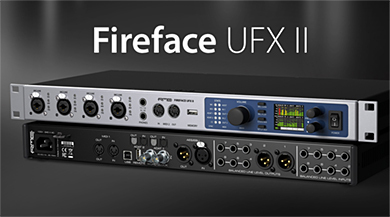 The Fireface UFX+ of course guarantees RME’s maximum performance, stability and ultra-low latency operation, and with all new AD/DA converters, optimised analogue I/O circuits, as well as improved SNR and THD values, which guarantee pristine, crystal clear and transparent audio. 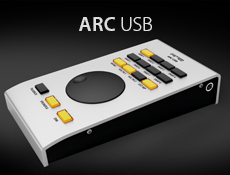 The ARC (Advanced Remote Control) USB is RME’s new control unit for easy and tactile operation of TotalMix FX. It’s optimised to be used with the new Fireface UFX+ and offers intuitive control over the DSP-based routing and effects section. 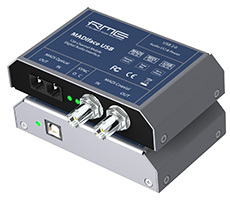 The RME ARC USB can be connected via USB to your computer (Mac OS / Windows) or directly to the Fireface UFX+ when employing the stand-alone mode. The control unit features a jog wheel, 15 freely assignable, illuminated buttons as well as a connector for a foot switch that can be assigned individually. 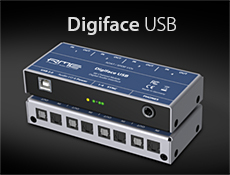 The RME ARC USB will also simultaneously control multiple units. Since 2001 TotalMix added unlimited routing and mixing to RME‘s audio interfaces. Its unique capability to create as many independent submixes as output channels available turned it into the most flexible and powerful mixer of its kind. With supported hardware, TotalMix FX includes a complete effects system, which not only adds flexibility to the recording chain, but also makes latency saddled software solutions obsolete. TotalMix FX can completely replace an external mixer, enabling the creation of multiple latency-free monitor mixes with EQ, Dynamics, Reverb and Delay for any outputs, incl. Main monitors and headphone mixes for musicians. 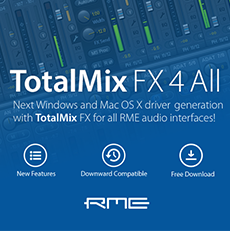 RME presents: The next Windows and Mac OS X driver generation with TotalMix FX for ALL RME audio interfaces! Brand new MADI Router starts shipping! The 56th Grammys were held at the Staples Center in downtown LA on Sunday with performances from Stevie Wonder (who I am sure was at NAMM only last week), Paul McCartney and Ringo Starr, Daft Punk, Katy Perry and what has been described as a rather risqué contribution from Beyonce. 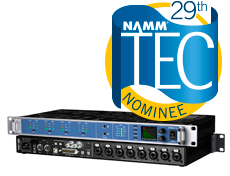 The Grammys are thought to be one of the biggest annual broadcast productions worldwide and requires comprehensive and quality I/O for their no-compromise audio output. Our buddy Graham Kirk was working on the show and spied 3 x RME MADI Bridges and 2 x RME MADI Converters being used for a variety of MADI tasks on M3's Horizon Recording/OB truck. So, he quickly whipped out his trusty iPhone 5 and took a snap of the racked RME and sent it over. 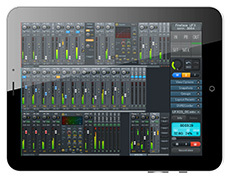 TotalMix FX for iPad is RME’s Windows/Mac software TotalMix FX ported to iOS. It gives control over the mixer and effects of the supported audio interfaces Fireface UCX and Fireface UFX, when these devices are in Class Compliant mode. TotalMix for iPad does not work wirelessly, and is no replacement for typical remote software (like Lemur / TouchOSC). 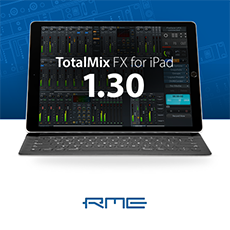 TotalMix FX for iPad runs on any iPad and all iOS versions from 5.0 up, using only low resources. 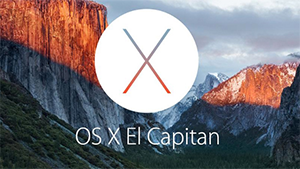 As under Windows and Mac OS X it does not process audio, but acts as remote control for the calculations performed in the hardware. The app is fully compatible even when storing/loading Workspaces. Except MIDI/OSC remote control it includes all features of the desktop version. Using the Fireface UCX with the iPad, TotalMix for iPad for the first time unlocks the device’s whole functionality, in a quick way, with full overview and lightning fast configuration. has four groups of three different MADI I/Os each and is used as patch bay and format converter between those. Apart from the fully transparent, stream-wise operation between its ports it excels the well-known MADI Bridge by letting users create output signals that combine audio channels from different MADI inputs. 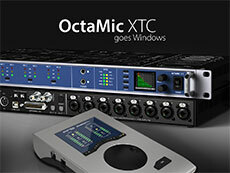 The OctaMic XTC is the swiss army knife among RME's interfaces. An advanced eight channel microphone/line/instrument preamplifier with 192 kHz/24 bit A/D conversion and AutoSet, four channel D/A conversion for analog or digital input monitoring, and full MIDI remote control via USB, DIN and MADI were not enough to stop RME's engineers. ADAT, AES and MADI optical operate as outputs as well as full-channel inputs, easily patched and routed with the comfortable TFT display - turning the XTC into a full blown digital format converter. The MADIface USB is a compact device that provides MADI I/O via USB2 while supporting the format's full 64 channels. Its sturdy and bus-powered design makes it as easy to use as reliable in operation. SteadyClock as well as RME's well known MADI compatibility ensure hassle-free operation with other devices. 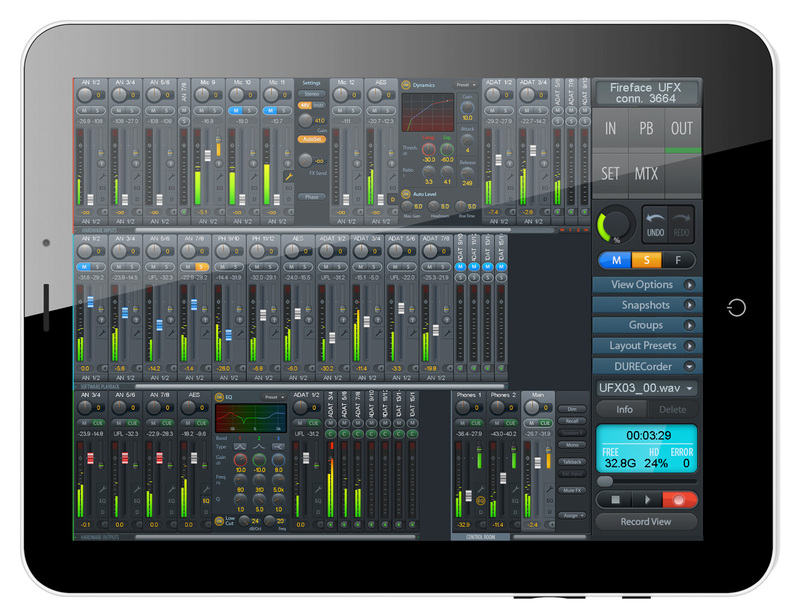 TotalMix FX for iPad adds full control over hardware mixer and DSP effects for Fireface UFX, UCX and Babyface when in Class Compliant mode, and lets users create, store and load complete mixes directly from the iPad. Additionally hardware controls like phantom power for microphone inputs, mic/line/instrument switching and sample rate are supported. The expected shipment date of all new products is Summer 2013. The HDSPe MADI FX marks a new milestone in the history of audio interface cards. Never before has such a high-performance multi-channel audio system existed. 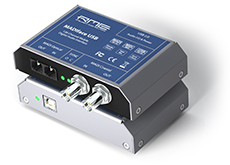 The HDSPe MADI FX features 390 audio channels, three MADI I/Os (two optical and one coaxial), unique low latency performance, redundancy mode and internal effects. Using the OPTO-X the HDSPe MADI FX then has three optical MADI I/Os. The latest update to RME’s ADI-8 series - the ADI-8 DS Mk III - is an 8-channel high-end AD/DA converter with a truly unique feature set. The device combines excellent analog circuit design with the latest generation of outstanding low latency AD/DA converter chips. Along with its integrated SteadyClock, the ADI-8 DS Mk III offers not only AD and DA conversion of the highest quality, but also digital format conversion and distribution features for full digital connectivity. Like RME's successful predecessors ADI-8 Pro and ADI-8 DS the ADI-8 DS Mk III provides outstanding specifications, and delivers professional quality and features for a fraction of the budget you usually would have to spend. The ADI-8 DS Mk III comes as a standard 19" one rack unit device offering Intelligent Clock Control (ICC), SyncCheck, SteadyClock, AES/EBU and ADAT I/Os, four hardware reference levels up to +24 dBu and 192 kHz sample rate, word clock I/O and double 8-channel level metering. The DS Mk III incorporates lowest latency conversion with less than 12 samples delay, which turns digital monitoring into analog-style monitoring. In addition to the high quality AD/DA link to the analog world the ADI-8 DS Mk III interfaces all digital studio equipment with ADAT or AES/EBU in- and outputs, being the perfect match for RME's HDSPe AES and HDSP AES-32. 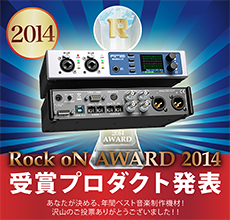 It provides both cards with 8 analog I/Os in reference conversion quality at up to 192 kHz. Using multiple MK III the HDSPe RayDAT could be fitted with up to 32 analog I/Os via its 4 ADAT I/Os. The new DS Mk III also includes a digital patchbay with free choice of source and destination setup. ADAT can be converted to AES, AES to ADAT, cross-converted at the same time, ADAT passed on to ADAT while monitored analog, and many more. The ADAT outputs also feature a copy mode for connection of two different ADAT devices. These powerful and easy to use modes add significant value to the already outstanding conversion quality. RME announces a 390-Channel PCI express card. 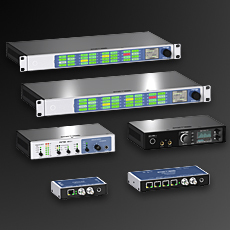 The HDSPe MADI FX features 390 audio channels! Three MADI I/Os - two optical and one coaxial - are accompanied by one AES/EBU I/O and one analog monitoring output. The card can be used as powerful MADI router. Unlike most other router solutions, each channel can be routed individually - even with separate level settings for each routing. With the new Seamless Redundancy Operation the card can operate as single MADI input device, recording up to 64 channels. 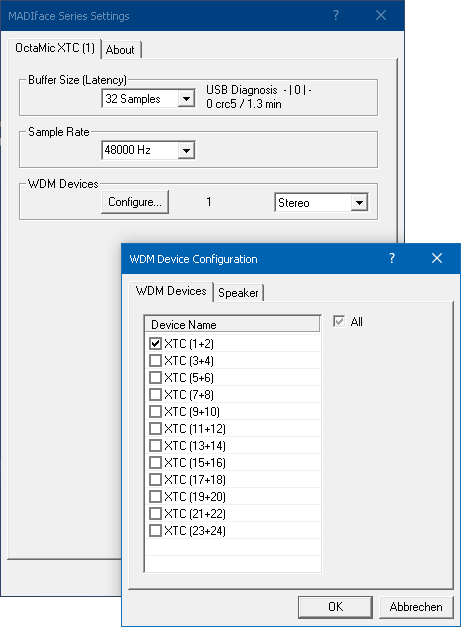 As soon as the current input fails the audio data received from one of the other two inputs is used. The audio data is not interrupted when switching to another input - and the card can use not only one, but two more MADI sources for redundancy. The shipping starts in summer 2012.